One of the things we did for fun when we'd visit our great grandparent's house, the J.T. Roberts house (where our mom grew up), was swing on the front porch swing. It was actually my favorite thing to do there after a big Sunday dinner. 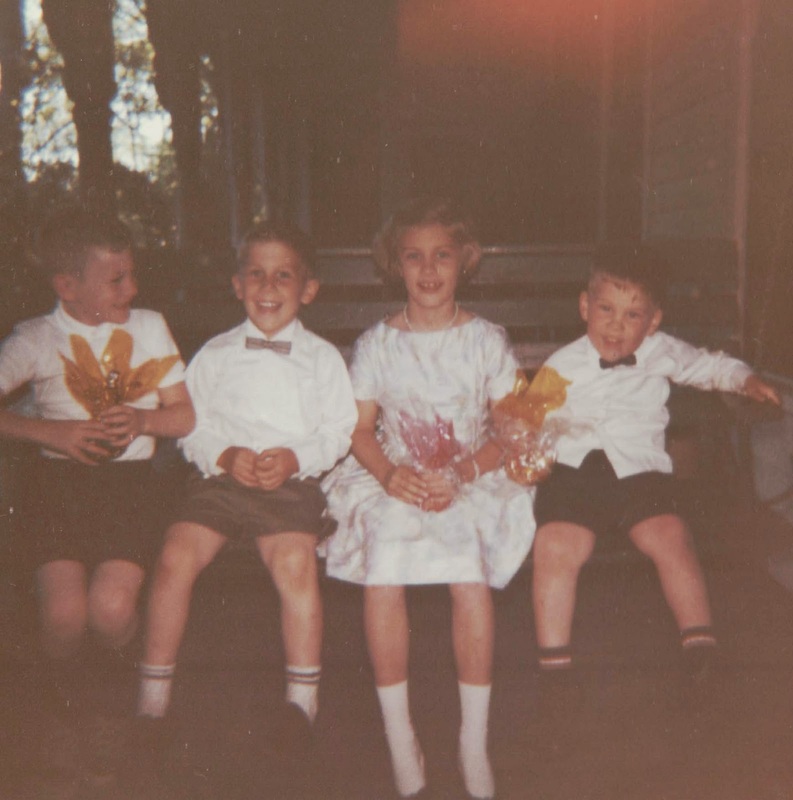 and our brother John on the right sitting in the front porch swing at our great grandparents' house. Our great uncle Big Bubber (Leland Roberts) would admonish us not to swing too high or the swing might fall down because it was so old. Sometimes he'd swing with us. At least three generations sat in that swing.